The Mueller probe into allegations of collusion between the Trump campaign and Russian government has continued long past its expected termination date (it was initially expected that the probe wouldn’t last more than a year from Mueller’s appointment in May 2017). And with the mid-term elections roughly one month away, signs that the probe is winding down are finally starting to emerge. 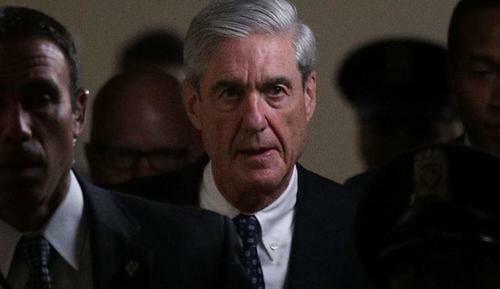 As the Associated Press reported on Wednesday, several members of Mueller’s team of prosecutors have been reassigned back to various divisions of the Department of Justice, while Mueller’s increasing reliance on outside prosecutors suggests that he has been narrowing the probe’s focus. While the grand jury inquiry into Roger Stone is still ongoing, Mueller is refocusing on two key threads of his probe: The original allegations of collusion, as well as allegations that President Trump obstructed justice when he fired former FBI Director James Comey. Besides the grand jury inquiry into Stone, other elements of the Mueller investigation remain active, including inquiries into whether the president took action to obstruct the probe and the central unresolved question of whether the Trump campaign coordinated with Russia during the 2016 election. But after a series of indictments and high-profile plea deals with Trump associates in recent months, Mueller’s shown signs of narrowing his focus, referring cases to other offices of the Justice Department, letting other U.S. attorneys largely take over cases he brought and allowing prosecutors to leave his team without replacement. As the AP reports, two prosecutors assigned to the Russia investigation are returning to their duties at DOJ, joining two others who left the probe over the summer. Brandon Van Grack: Grack was one of the prosecutors responsible for securing a guilty plea from former National Security Advisor Michael Flynn: He has already returned to the Justice Department’s national security division, but will continue to be involved in the Flynn case. Flynn is expected to be sentenced in December. Kyle Freeny: Freeny will end her involvement with the probe later this month and return to the DOJ’s money laundering division. Both Freeny and Grack aided in the prosecution of Paul Manafort. Ryan Dickey: Dickey, a computer crimes specialist, aided in the investigation of the Internet Research Agency, a Russian social media troll farm accused of masterminding Russia’s attempt to “sow discord” among the US public via social media. He also worked on the indictments of 12 Russian intelligence officers accused of hacking the DNC and Clinton Campaign. Brian Richardson: Richardson was part of a team that prosecuted former Skadden Arps attorney Alex van der Zwaan for lying to the FBI while they were investigating Manafort and others involved in his Ukrainian work. To be sure, existing case law suggests that a sitting president most likely cannot be indicted. But it’s widely expected that Mueller will produce a final report detailing his findings once his probe has concluded. Last month, Mueller’s team made two serious concessions to Trump, offering to allow the president (or rather, his lawyers) to answer questions in writing, and promising to keep those questions focused on the Russian collusion element of the probe, instead of asking that Trump sit for an interview. Then again, subpoenaing the president to try and force an interview likely would have triggered a lengthy legal battle that likely would have ended in front of the Supreme Court.